It used to be when you travelled by air, fees such as baggage were included in the ticket price. Today, most airlines have turned to charging fees for services such as advance seating selection and baggage. These types of fees have proven to be one of the main drivers of improved financial performance for the airline industry. So, if it has been a number of years since you have travelled by air, you should read the helpful hints about baggage fees below. All airlines have different policies. Unfortunately, there is no universal standard for baggage policies. When purchasing an airline ticket it is important to understand all the terms and conditions of your ticket including the baggage policies. Does the airline charge for checked baggage on international and domestic routes? Can you bring carry-on luggage? Everything you need to know about baggage allowance, restrictions and fees is on the airline’s website. You can also ask your travel agent or the airline’s reservation agent before you confirm your booking. If you have already purchased your flights, the information should be included on your e-ticket or itinerary receipt. You also need to be mindful of the restrictions the airline places on the dimensions and weight of the baggage allowed to be transported. 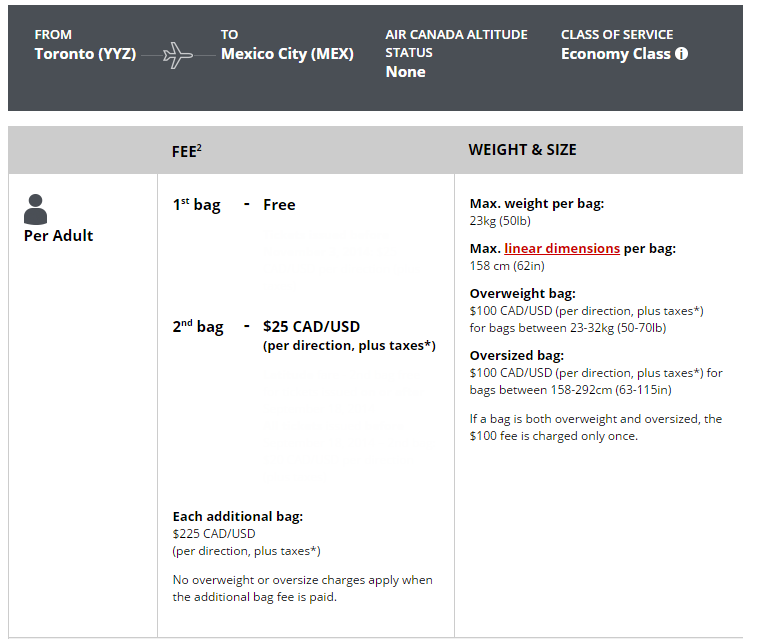 Most airlines not only charge for an additional bag or weight in excess of 23 kg., they may also charge an additional fee for an oversized piece of baggage. Most airlines allow 158cm in linear dimensions but they are not all the same. In some cases (but not always) it may be better to pay a fee for an extra checked bag instead of checking one really overweight bag. This varies between airlines so be sure to research their policies. If you only have one bag and it’s overweight, you would be charged $100. But if you took contents out of that bag and put them into an additional second bag, you would only have to pay $25. As of Apr. 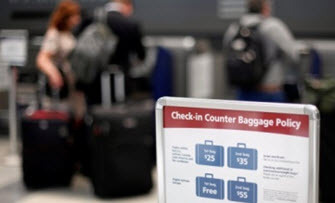 1, 2015, new baggage rules set by the Canadian Transportation Agency (CTA) will apply to interline baggage when bookings involve more than one air carrier on flights to and from Canada. The CTA puts out an informative publication, entitled Fly Smart. It’s invaluable. The guide is a handy resource for air travelers and provides useful tips for you to keep in mind before, during and after your flight. (You can read it or download it). Being more informed about air travel and having the Fly Smart guide at hand can make all the difference as you set out on your next journey.